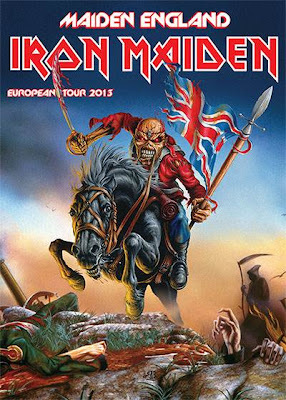 Iron Maiden have announced the opening date of their Maiden England European Tour 2013. The band will play the BEC in Bilbao, Spain on May 27. Tickets go on-sale Wednesday March 13. An exclusive first ticket pre-sale for Iron Maiden Fan Club members will run on Monday, March 11th. To coincide with tour, Iron Maiden will release the double- disc DVD “Maiden England ‘88” on March 25 (UK; March 26 in North America). The Maiden England ‘88 concert soundtrack will also be made available on 2CD album, Limited Edition double vinyl picture disc and Digital Download formats.